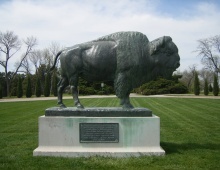 The “Smoke Signal” statue, depicting the Native American Indian Chief Red Cloud was a 1935 WPA project, sculpted of bronze-colored cast stone by Ellis Luis Burman. 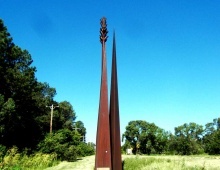 ‘Smoke Signal’s’ blanket measures six feet square, and six inches thick. 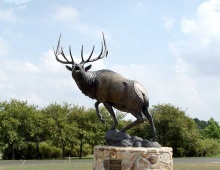 Although the originally intended “Smoke Signal” site was Toboggan Hill, the present site was chosen because Herminghaus wanted the statue placed at a suitable elevated location, facing west, away from the city,overlooking nearby Haines Branch. 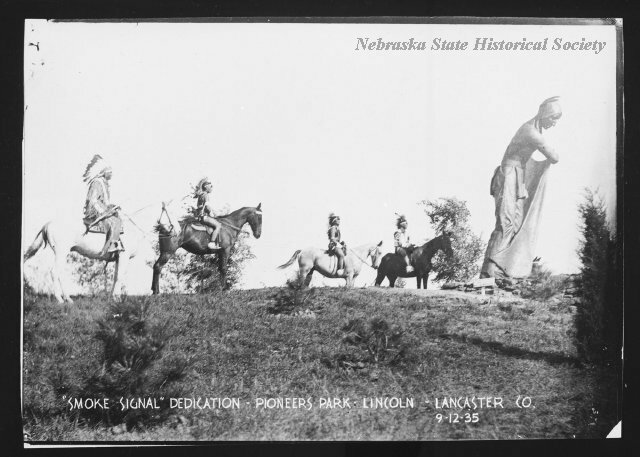 It was reported that “Red Cloud is signalling his tribesmen in formation concerning the white men in the city of Lincoln, behind the hill which he is resting.” The statue is sculpted in the position of just having lifted his blanket to signal by smoke. 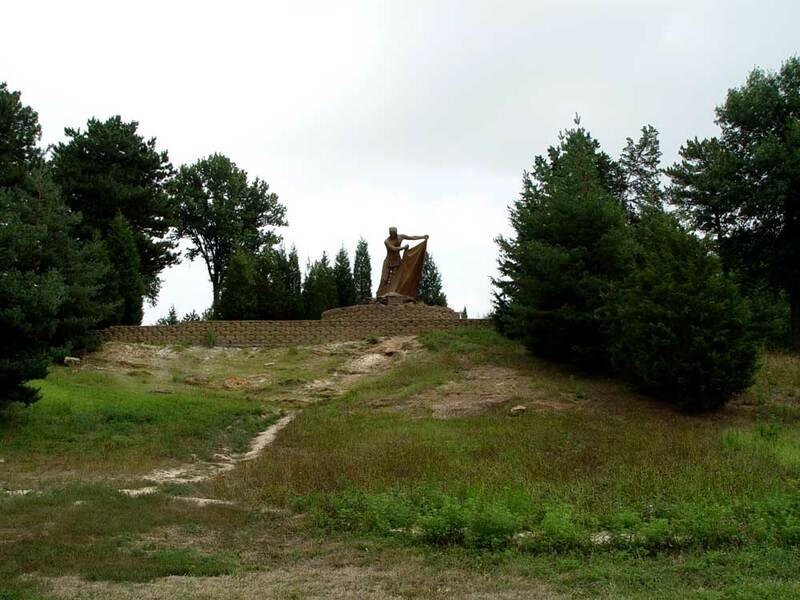 This is where the Red Cloud statue received his name “Smoke Signal.” The backdrop for the Red Cloud statue is 18 acres of pine trees which were planted through the WPA programs in Pioneers Park. 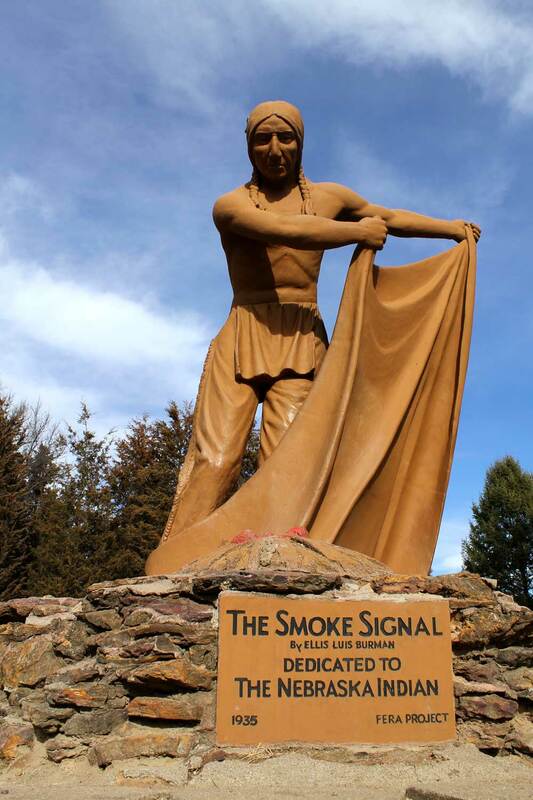 The pines which provide a buffer to Pinewood Bowl also serve as a backdrop to the “Smoke Signal” statue. 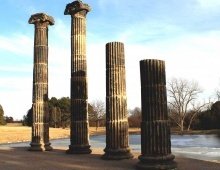 Concern for accessibility of the site and for erosion around the base of the statue led to the construction of a retaining wall and concrete ramp in 1990.